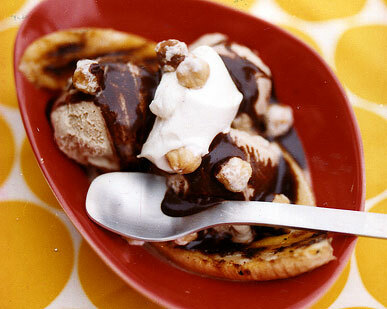 Make the classic sundae even better with these five clever upgrades. Three types of ice cream and a rum-spiked pineapple penuche sauce star in this over-the-top dessert. 15 minutes is all you need for this terrific Mexican-inspired dessert. 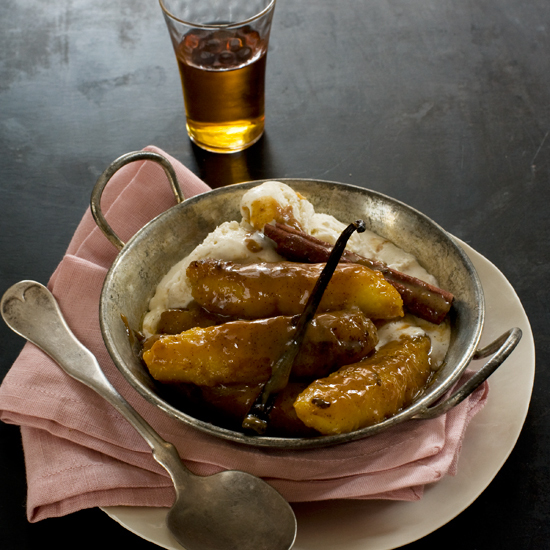 Pastry chef Johnny Iuzzuini marinates bananas in rum and coats them with sugar, then grills them until the outsides are hard and crackly. 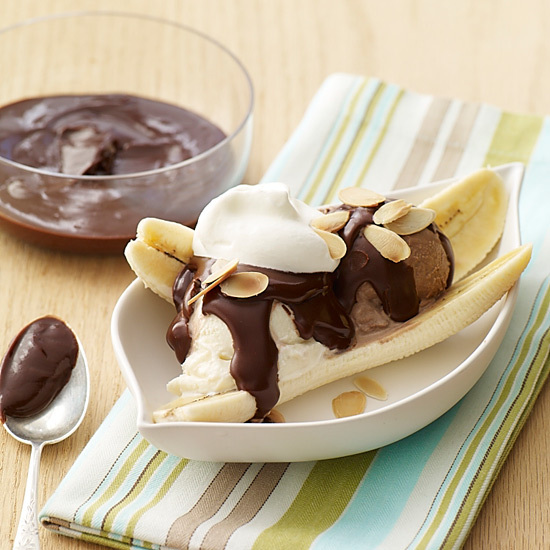 These simple yet exquisite sundaes feature crunchy almonds and fudgy chocolate sauce. 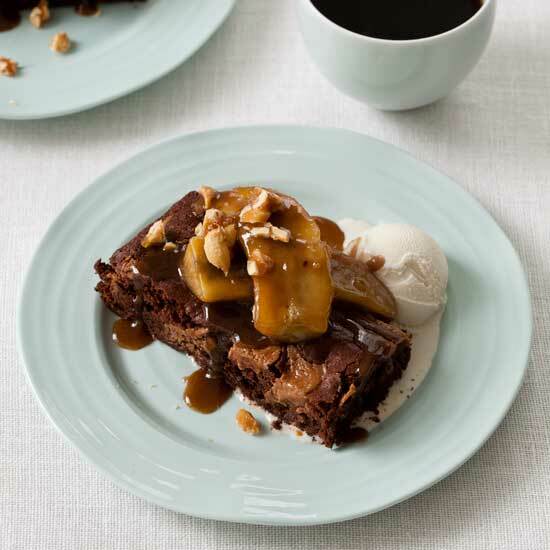 Caramelized bananas and crushed peanut brittle top ultra chocolatey peanut butter brownies.